Ten years ago today, on July 19, 2005, Lovefraud.com went live on the Internet. Wow! What an amazing journey! When I first launched Lovefraud, my original goal was to warn people about sociopathic con artists who proclaim love in order to steal their targets’ money. That’s what happened to me. My ex-husband, James Montgomery, took a quarter million dollars from me, cheated with at least six different women during our 2 1/2 year relationship, had a child with one of those women, and then, 10 days after I left him, married the mother of his child. It turned out to be the second time he committed bigamy. James Montgomery: Using the Internet to meet and scam women, on Lovefraud.com. I was not Montgomery’s only victim. I found evidence that he’d been involved with 20-30 women many of whom were asking for their money back. I found evidence that he’d taken a total of at least $1 million from these women. Three of his victims and the parents of a fourth victim who died testified at my divorce trial. I wanted to help other women avoid what had happened to me. 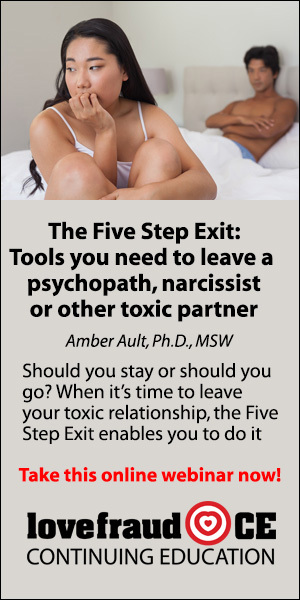 At the time, I didn’t know about the sociopaths who were breaking partners’ hearts just to entertain themselves, or who were using their children as pawns to control their partners, or who were intentionally breaking down their partners’ self-esteem, identity, and even will to live. 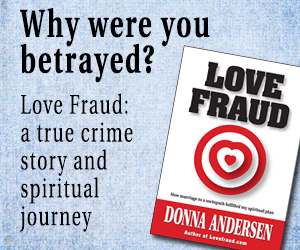 I learned all of that from you Lovefraud readers who have courageously shared your stories. 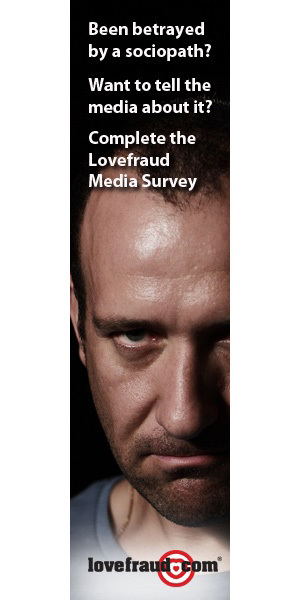 Through the emails, phone calls, blog comments, survey responses and stories, Lovefraud has become a repository of thousands of cases of what really happens when sociopaths go on the hunt, and what really happens to their targets. So we’re putting that information to good use. The Lovefraud Continuing Education program is moving forward. Lovefraud will be offering online courses to both mental health professionals and the public. 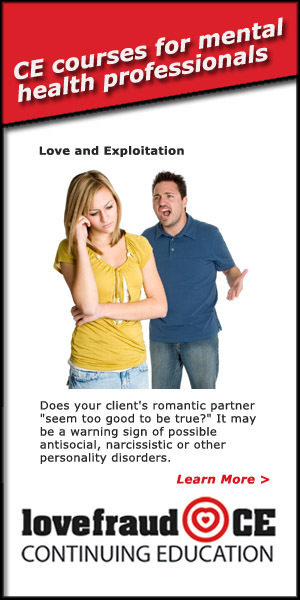 The Lovefraud Continuing Education steering committee comprising six mental health professionals who “get it” has submitted an application to the American Psychological Association to be approved as a sponsor of continuing education programs. 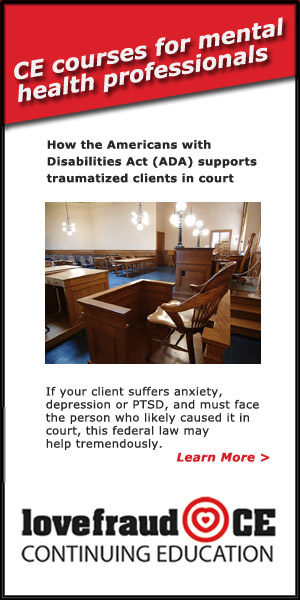 Licensed mental health professionals must keep up with developments in their fields, and when we are approved, they will be able to earn required credits when they take Lovefraud courses. We will also have programs for the public, so that you can learn how to avoid exploiters and manipulators, and if you’ve already been caught in the web, how to recover. If you’d like information about Lovefraud Continuing Education, please join the Lovefraud mailing list. 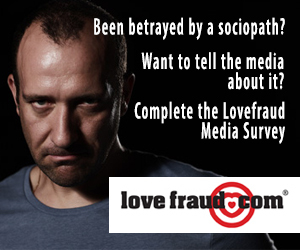 Just register for Lovefraud, and click the “send me newsletters” check box. Here’s another development that I didn’t anticipate 10 years ago: I never knew that Lovefraud would evolve into a healing community. Through the blog, you are telling your stories, seeking advice, and as you recover, offering validation, help and moral support to the members who come after you. Many, many of you have told me that because of the support of the Lovefraud community, you’ve been able to recover and heal. I am very grateful for the support that you are all willing to offer each other. I am in awe of the generosity of Lovefraud members towards helping others recover. You’ve enabled each other to understand, escape and move forward. Thank you all for 10 years of sharing! Sorry for the reason but WOW, what an accomplishment you transformed it into. You got knocked down and you didn’t just pick yourself up, you helped and empowered others to do the same! What a legacy! Your adversity turned into a life mission of service to others. And even better, you found a TRUE love connection. 10 years of being inspiration on multiple levels. I don’t know where to begin to thank you Donna…out of your darkest days, you lifted all of us up. The power of one person can cause a positive ripple effect around the world. You are proof of this. You are making incredible difference in so many lives. It’s awe inspiring!!! On my darkest nights & days with tears flowing none stop I read your library full of information you so diligently provided here on LF, watch your videos & read others post & comments and read your books. Your site/books gave me hope & understanding of the hell that I endured during my marriage. Thank you from the bottom of my heart. Congratulations on 10 years of helping others!! My congratulations to Donna and to all of us readers on the 10th anniversary of this very, very useful website! Thank you all! Really, it’s the community that makes Lovefraud special. I am grateful for all of your contributions. Especially excited to read about the developments in the “Continuing Education” endeavors of LoveFraud. 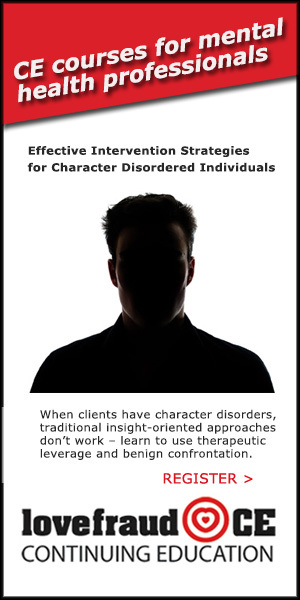 This is very much needed, education of mental health professionals (and other health care providers) about the realities of the profound amount of damage caused by these personality-disordered individuals. 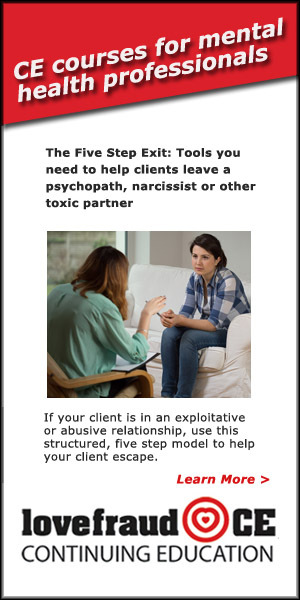 Too many counselors and psychologists who are simply ill-equipped to effectively help in the healing of the very specific CPTSD devastation that victims of sociopaths/psychopaths struggle with. 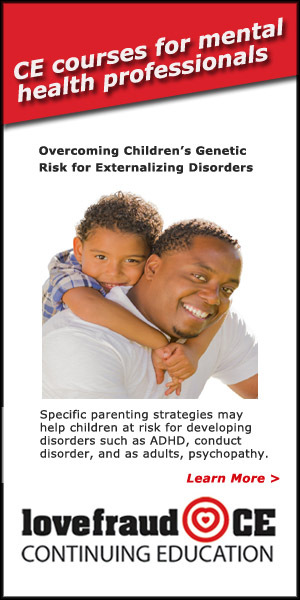 Seeking certification by the APA for CE credits for the courses in development is a brilliant idea. 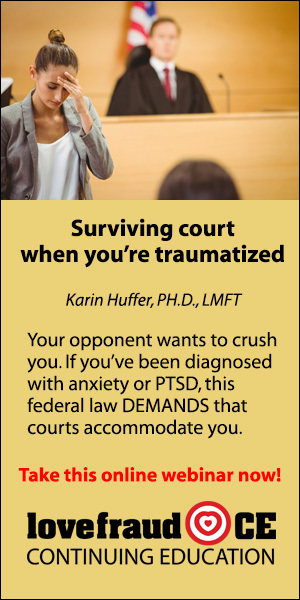 Hopefully once that is established, work can begin on getting the law enforcement community (police, family law court judges, etc) on board to also partake in this much-needed education – to recognize the manipulation and other deceptive dynamics that these predators practice in the “justice” system against their victims. Donna, congratulations on such a great achievement. It has been 7 years since I stumbled onto this site. The advice and support I got here really saved me during a very dark time. Things are different today, and I’m in a better place – even in a really good relationship right now (!) – but I still enjoy staying connected to LF to help others who are going through what I went through so many years ago. It’s sometimes discouraging to read just how many victims there are of sociopaths. But at least you are shedding light on our plight and making forward progress. Simple validation, moral support, education, and a little legal advice – these all go a long way toward recovery. Thank you again for the good work you do. Star – thank you so much. Your contributions over the years have truly helped many other Lovefraud readers. Thanks again! I found this site 3 years ago and it helped me realize a lot and get the understanding, acceptance and closure I needed. Thank you for being bold and compassionate enough to create a safe space that promotes awareness and supports shared experiences! Thank you! This work you have done is a God-send. If it wasn’t for this place you created I don’t know how I would be these days. It’s only been 5 months, but how far i’ve come because of you and the supporters here! Cool that your anniversary falls on my Birthday! 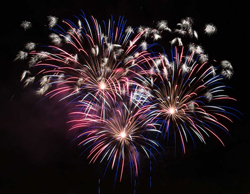 Double celebration! Thanks Remember to Forget. I’m so glad Lovefraud has helped you – and Happy Birthday! Lovefraud was a God-send to me 3 years ago when I was in such turmoil. I devoured the articles and what knowledge I gained!! The comments and support from you and others I will continually be grateful for. I am in such a better place! Others on here told me one day that would happen and I couldn’t see it or believe it at the time! But…thank God, I made it through!! And thank you Donna for all that you do! Yes! Thank you Donna! Me too! gay man. I’m executing my secret exit strategy and will be home, at the other side of the world, in 2 weeks time. Your website has therefore changed my life. I can’t thank you, Bonnie and AnnettePK enough. It is so gratifying to know that Lovefraud has helped so many people. I am honored to be of service. There are many out there (myself including) so grateful to have you and the support that your actions all together bring to our lives. This site has literally saved my life. Thank you so much for all you do and the upcoming continuing education is just a start of better understanding in the BH community as it is sorely needed! Congratulations on 10 years and thank you for your important work! So much grief can be avoided with the knowledge you’re sharing and the community you’re providing. 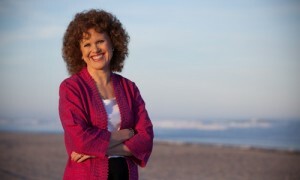 Thank you for all you have done, Donna, in LoveFraud, the surveys, the new continuing education community, the TV shows, etc. 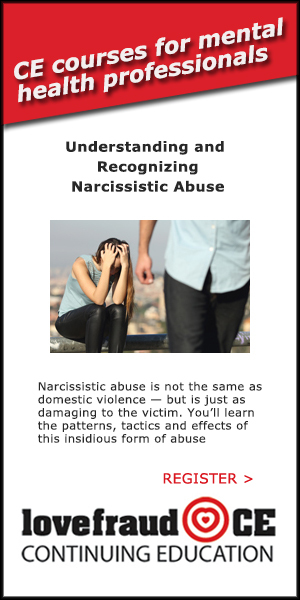 You have gotten the word out, and brought together victims who otherwise might still be bewildered about what happened to them, why, how, and how to avoid it. It takes guts to put yourself out there. Thanks for doing it anyway.